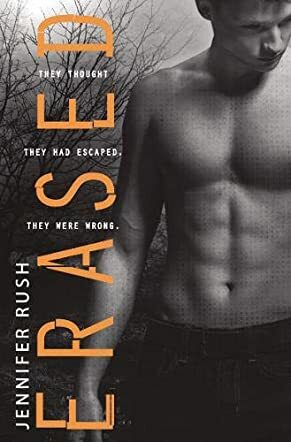 Erased, by author Jennifer Rush, is the second book in this series and picks up where Altered left off. Anna, Sam, Nick, and Cass were on the run from the Branch. Their life had been altered, their memories wiped out and new memories created. The Branch used the males as assassins and Anna as their control. In this episode, the group discovers that Anna’s older sister Dani was alive. They have a decision to make: try to contact Dani or play it safe and run. They leave the decision up to Anna. She knows they would be no better than the Branch if they took the easy way out. Trevor had turned on them in the last book and was now with the Branch; however, Anna turns to him for help in finding Dani. Erased is a Young Adult book falling into multiple genres. I would classify it as thriller, suspense, mystery, sci fi, romance and intrigue. I fell in love with this series when I read the first book. I loved the characters then and find they have been further developed, making them more complex. It was interesting to watch the group dynamics as they shifted, changed, and interacted with each other. Erased is told from Anna’s point of view and was the easiest to connect with. Jennifer Rush added twists and turns throughout the book, taking the reader by surprise. I do recommend reading book 1 before reading Erased. The narrator/reader is Casey Holloway. Her voice has just the right inflection, expertly showing Anna’s emotions.